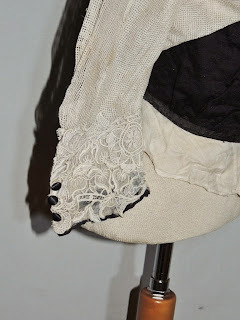 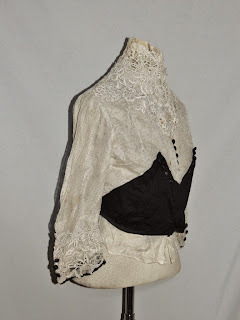 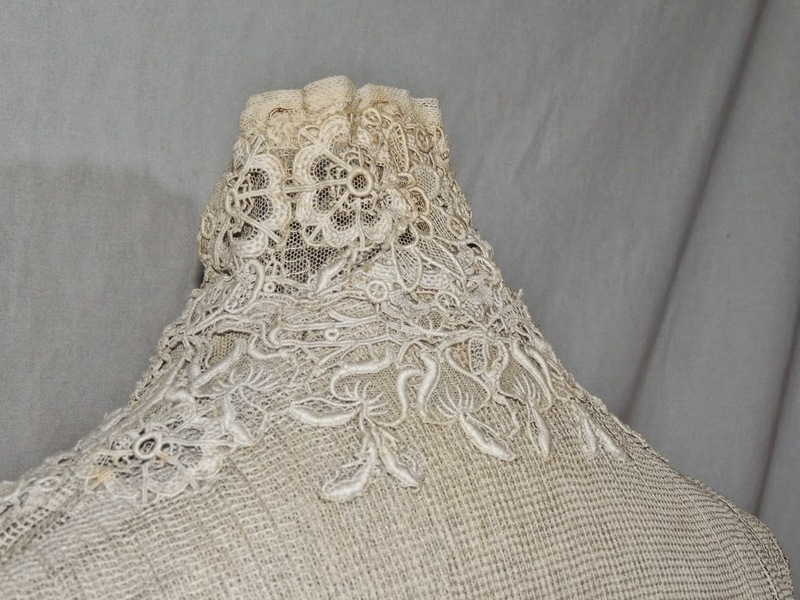 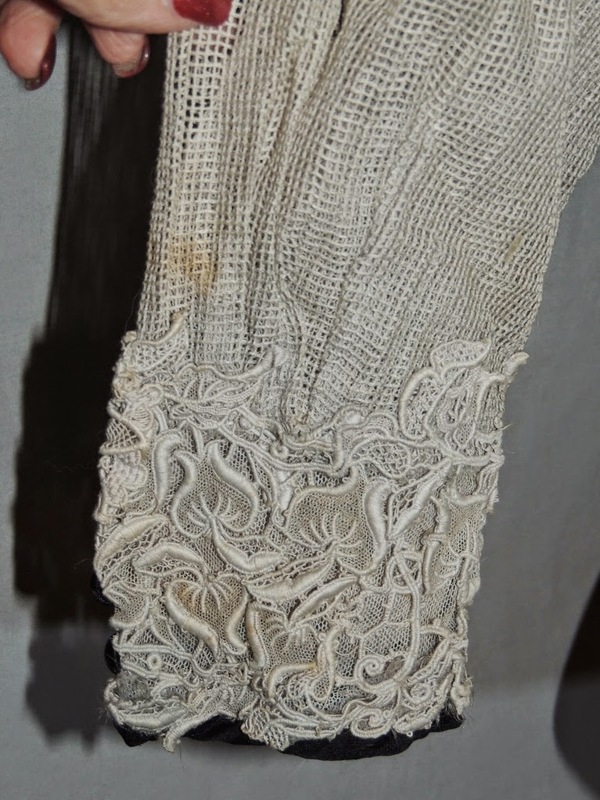 This pretty Edwardian blouse is made from gray netting, lace and black velvety wool. 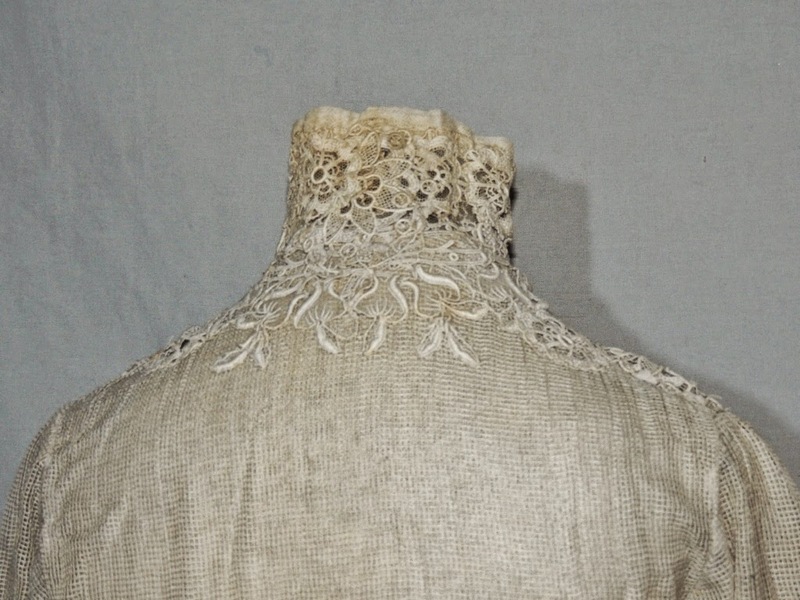 It has a high collar opened a bit at the throat and it hooks down the front. The sleeves are 3/4 length and are trimmed with black silk covered buttons and silk edging around the bottom. 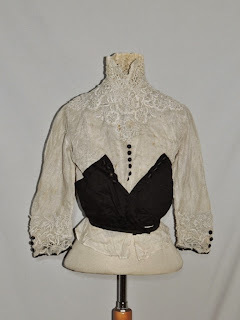 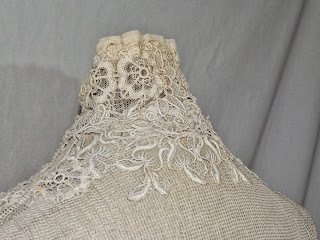 The fabric on the bodice of the blouse is a velvety textured wool and it's trimmed with silk covered buttons, but 3 of them have wear to the fabric and should be re-covered or take the ones from the sleeve to replace them. 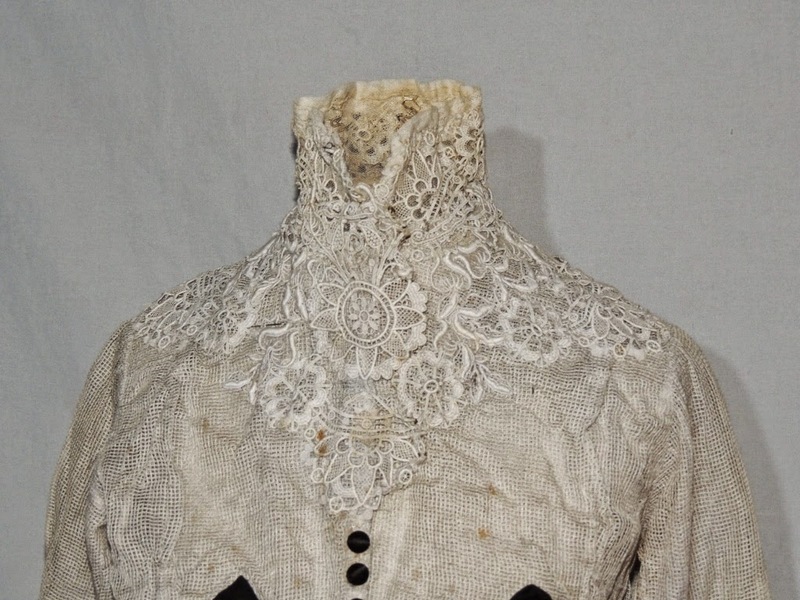 The main problem with the top is that is has scattered spots that show in the photos. 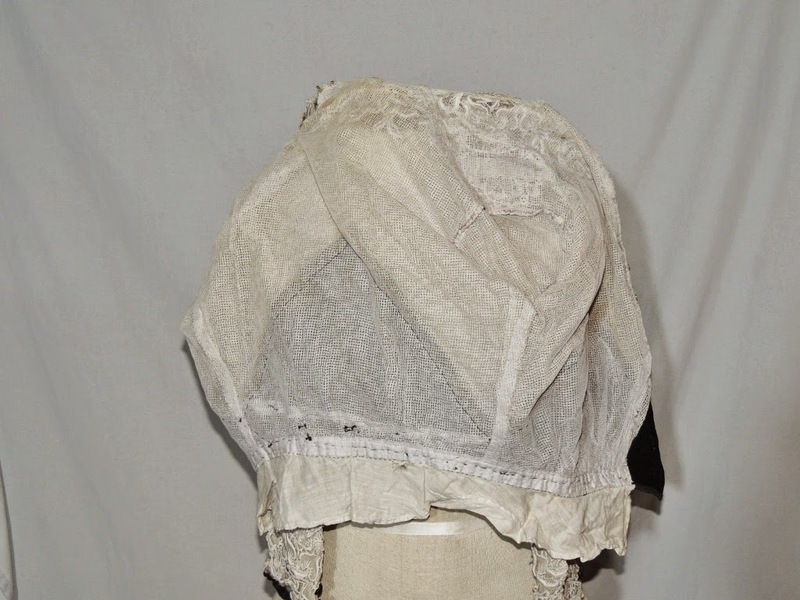 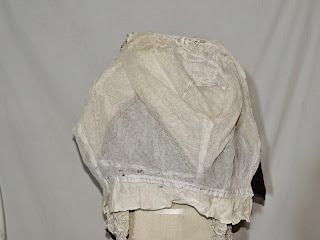 It's lined with another layer of netting a little finer than the outside netting and it has a cotton tuck in peplum around the bottom. 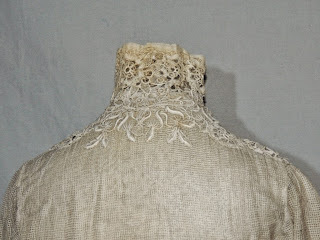 It measures 37 inches around the bust, across the back shoulder is 13, waist is 24 and shoulder to waist is 16 plus a 2 1/2 inch tuck in. Very wearable condition. 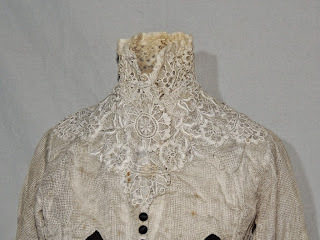 Again, there is no such thing as wearable condition when the thing is over 100 years old! 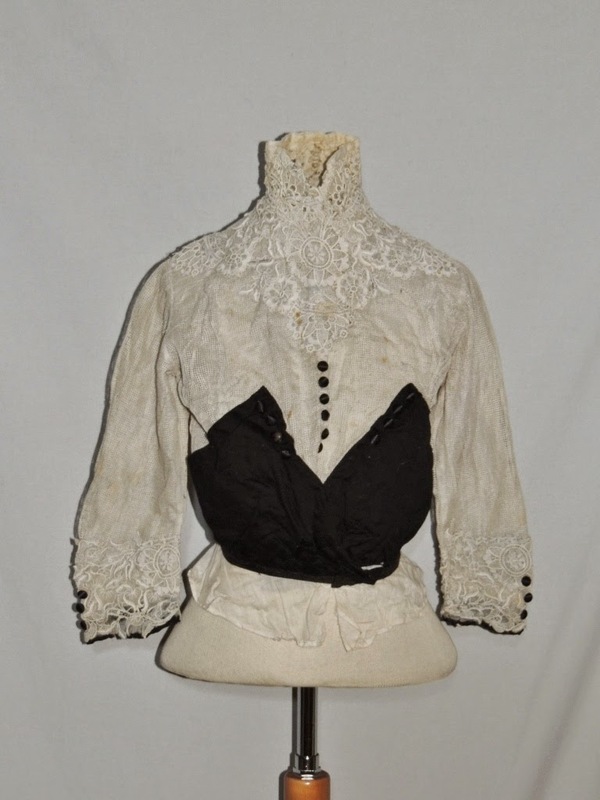 Anyway, this one is a bit confusing. 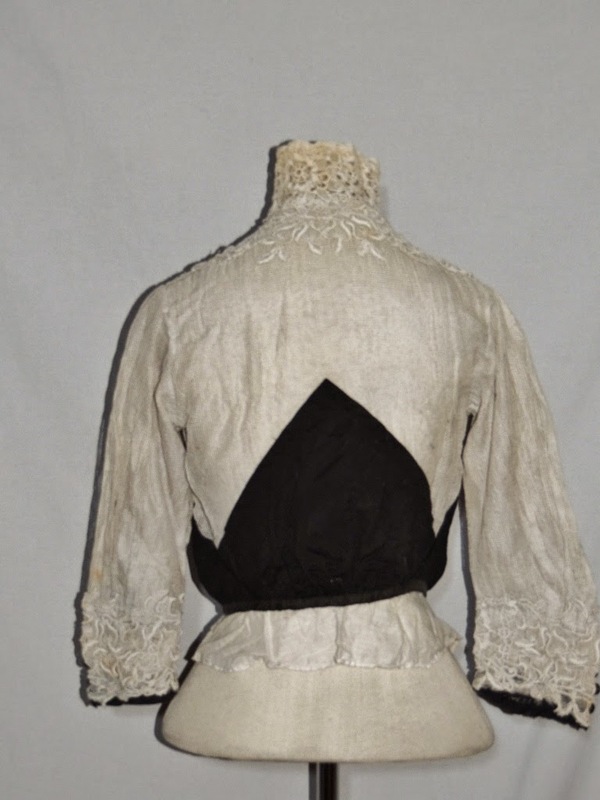 I think it's really an Edwardian shirtwaist with a bit of black silk to make it look more "modern" - some time around 1911/1912.